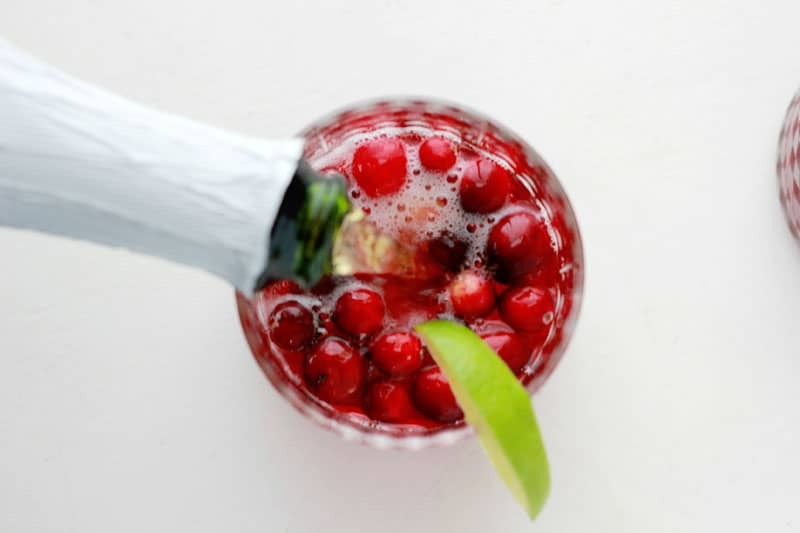 Cranberry Champagne Cocktail. A delicious way to bring in some of that wonderful holiday flavor and still keep things simple! Tis the season to raise your glass and toast to family, friends, and cheer! This cocktail is good for so many reasons. It is stunning to look at. Visual appeal is important when you are party planning, am I right? It is packed with holiday flavor. It only has three ingredients. If you are not a big alcohol fan do not run away just yet. I have included a mocktail version that uses sparkling cider. It was given two thumbs way way up by my picky little six year old. He loved the idea of enjoying a fancy drink with mom and dad. I was thrilled that he could be a part of the fun. If that is the route you would like to take just pick up some sparkling cider (apple or grape) and swap it in for the champagne. 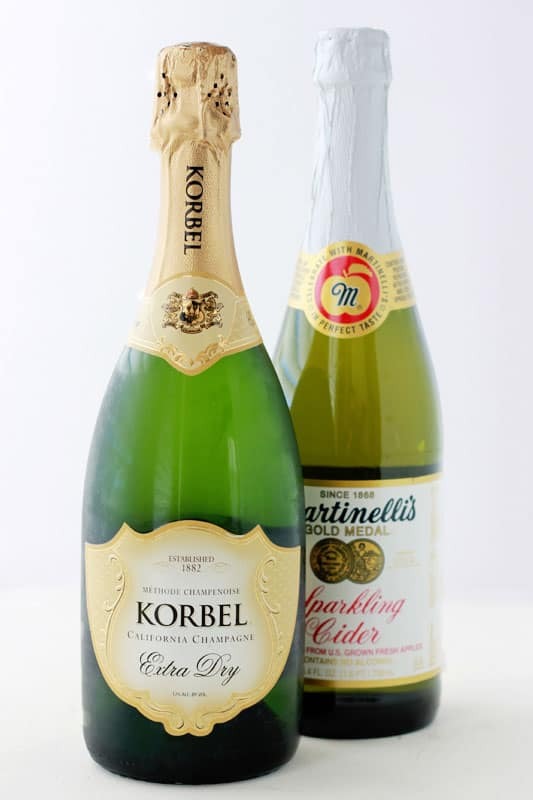 You will get the same great flavor and bubbly sensation and have a fancy drink perfect for parties. I opted for frozen cranberries instead of ice cubes this time around. I thought the bright red circles kept things bright but didn’t water down the drink at all. You can normally find these in the freezer section or if not just grab some fresh ones and toss them in there until frozen solid. 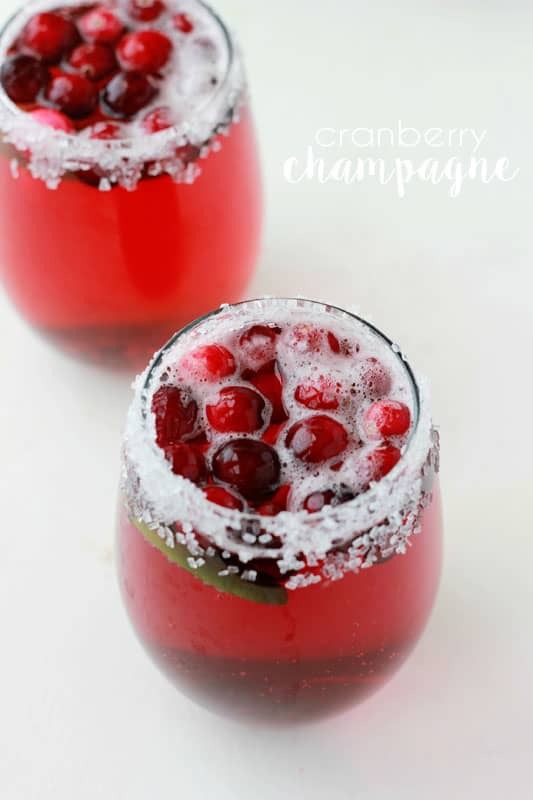 Put a hand full of berries into a glass, fill halfway with cranberry juice, and top off with the bubbly. I add a splash of fresh lime juice to mine but everyone enjoyed it without too. I think the green adds a little extra pop of color that makes for an elegant garnish. We also lined a few of the glass rims with large sugar crystals. I originally thought this would be good for the kid glasses but the all of the adults felt left out and ended up adding it to theirs. Just dip a glass in a bowl of clean water followed by the sugar. In two seconds you get an almost frost like edge that’s gorgeous. Like this recipe? You will love my Easy Mojito, Easy Bloody Mary, and Raspberry Peach Sangria! 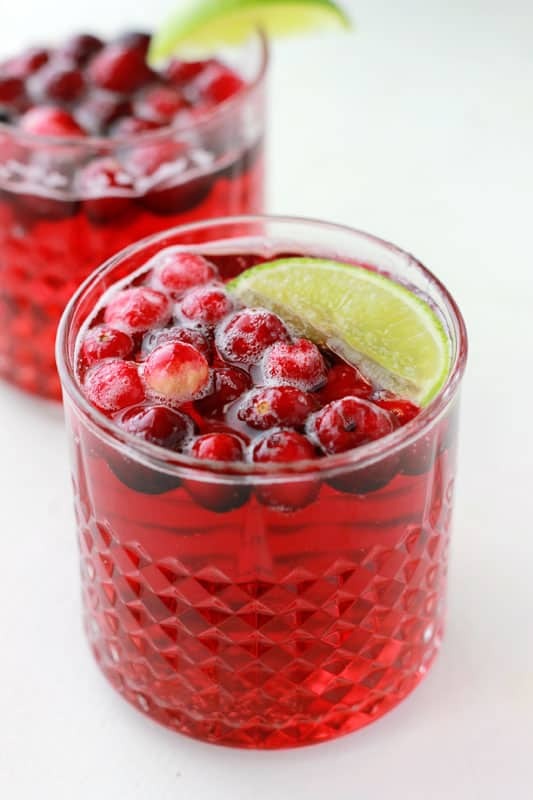 Fill a glass with ice or a hand full of frozen cranberries. 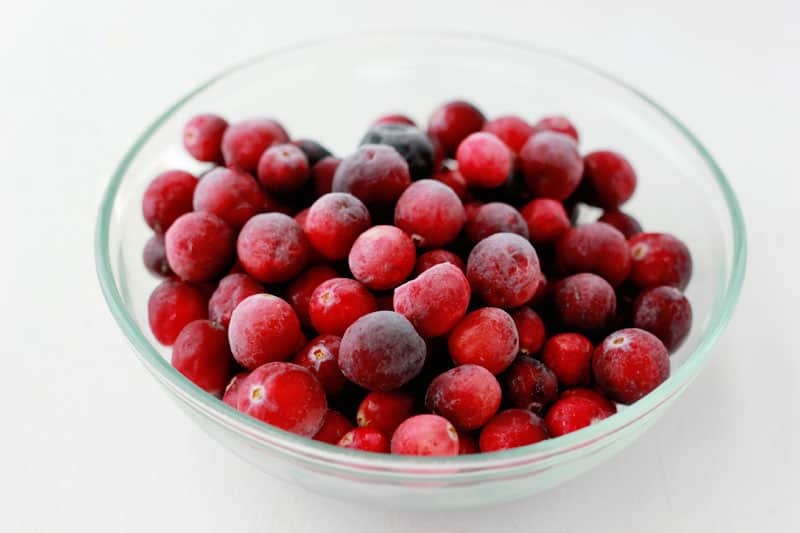 Pour cranberry juice until half full or just under half if you prefer a less cranberry taste. Top off with champagne or sparkling cider. Add a splash of lime juice if desired.